Pantone has named Marsala as the colour of the year for 2015, and this is a colour I’m loving. I would describe it as a reddish brown shade with hints of mauve and rose, that’s very reminiscent of the makeup looks from the 90’s and looks absolutely gorgeous on most skin tones. Leatrice Eiseman the Executive Director at the Pantone Colour Institute gave this description of Marsala: “Marsala enriches our mind, body and soul, eluding confidence and stability. Marsala is a subtly seductive shade, one that draws us into its embracing warmth”. 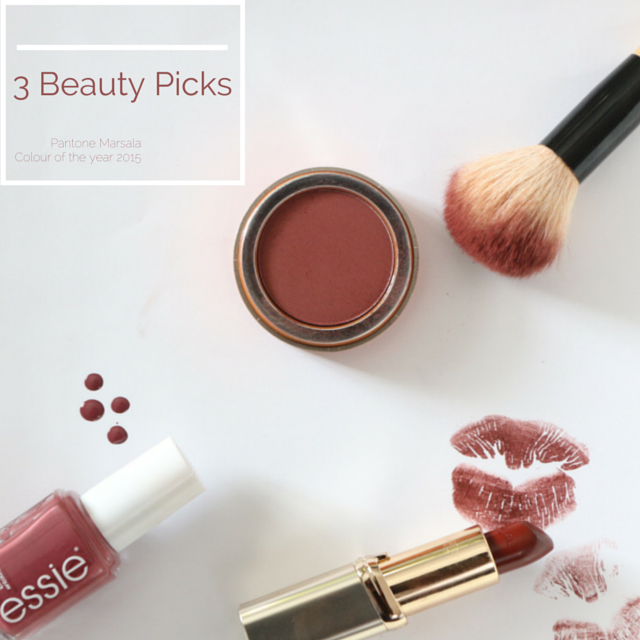 It has already started cropping up in the new fashion and beauty collections and to help you on your beauty Marsala way, here are my top 3 product picks for lips, cheeks and nails on how I wear Marsala. It’s a lovely red brown shade and is extremely pigmented so a little goes a long way. It goes on really softly and wears incredibly well, the longest I have had it on for is 9 hours and I found it didn’t budge throughout the day. 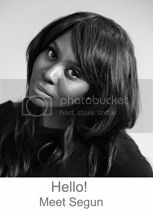 This lipstick is the perfect 90’s supermodel through back look, think Naomi Campbell in her reddish brown lipsticks. This lipstick has a satin finish, which is a little too glossy for me, but blotting it and applying a light dusting of translucent powder is an easy fix to that problem. This mattifies it and makes it more long lasting. I love, love, love this colour, it has been my new go to winter shade if I’m not going for the quintessential wine colour. It has a little hint of mauve in it which I feel helps to lift the colour on my nails. And that’s my list. How about you? Are you feeling the Marsala as a colour or are you a bit blah about it? Let me know in the comments below and have a lovely weekend ahead. Thank you. Yes you should, it's such a lovely colour.